My name is Emily and I'm the new Education Program Coordinator here at Check Your Head! At our youth-driven not-for-profit organization, we provide workshops, training, support youth-led actions, and engage youth volunteers. Our mission is to educate, activate, and empower young people to engage in social, environmental, and economic justice movements and to create a more equitable, democratic, and sustainable future. We have some exciting programming coming up this fall that we’d love you to share with your youth networks! 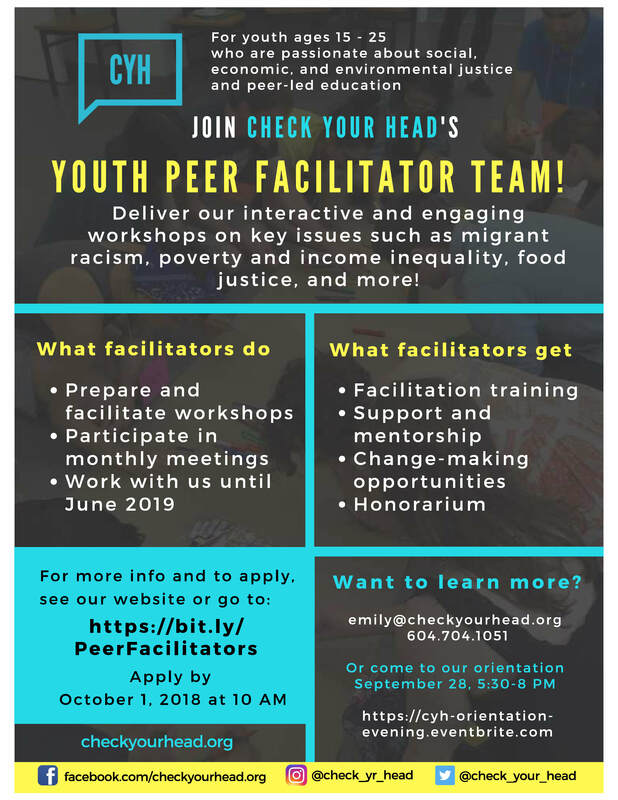 Youth Peer Facilitators – youth receive training and deliver our interactive and engaging workshops for their peers on key issues such as migrant racism, poverty and income inequality, food justice and more! 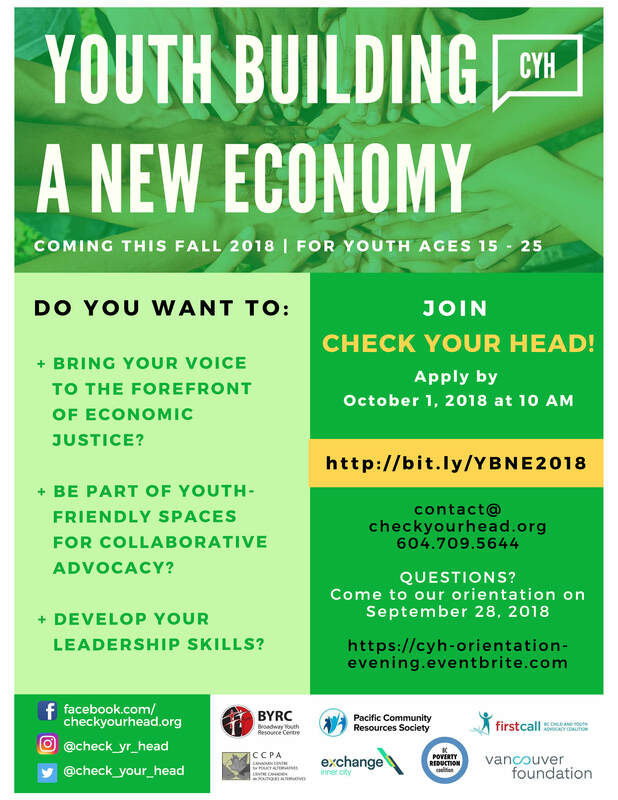 Youth Building a New Economy Cohort – youth bring their voice to the forefront of economic justice, are part of youth-friendly spaces for collaborative advocacy on poverty and income inequality issues, and develop their leadership skills! Deadline to apply: October 1st! Click on each opportunity to learn more!